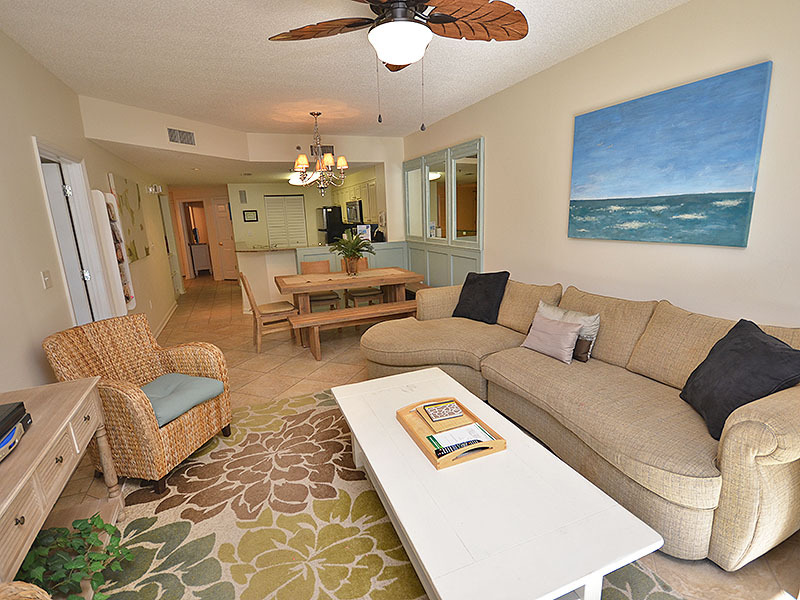 Beach Club BCLB109B, 2 Bedrooms, 2.5 Bathrooms, Sleeps 6. Ground Floor Unit - No Elevators to wait on. Come relax at one of the best resorts in the area - THE BEACH CLUB in Gulf Shores. Welcome to The Club Level - as a guest, you deserve the very finest for your vacation. The Club Level offers just that - now featuring our Hotel Collection Linens. You will be welcomed at bedtime with a down alternative comforter enveloped in crisp white sheets giving you the same look and feel of a luxury hotel (but with the comforts of home) along with upgraded toiletries. No Check In required for The Club Level - go directly to your unit and start enjoying your vacation as soon as you arrive! This two bedroom unit features a king bed in the Master Bedroom - a queen bed in the Second Bedroom! If you are looking for a one-stop location for your family's vacation needs ~ you have found the perfect location! The Beach Club offers the Restaurant, Palm Bar, Tiki Bar, Market and Grill, Treasure Cove Boutique, Sirena del Sol Spa and The Club. With children's activities, golf nearby, and an on-site spa, the whole family has something to enjoy! The beautiful Bristol pool and boardwalk to the beach is just at the foot of the tower, but you may want to visit The Club House. A small daily fee allows your entire party to utilize all the amenities for the days you choose, payable at the Club Desk (fees apply for fitness center, indoor pool and tennis courts). Amenities include: Indoor heated pool, outdoor pool, jacuzzi, wading pool, tennis courts, basketball courts, children activities, poolside live entertainment, game room, ping pong, cabana bar and outdoor dining. Also, at The Club House, without a fee, you may enjoy the fine dining restaurant, salon, and spa. At the front of the property is shopping and a dining buffet, plus a short order deli style market. We will email you a quote to your Inbox for this unit with the total cost including fees and taxes. Just complete the form below. All Fields are Required.